They’re here, and they’re waiting for you to order! 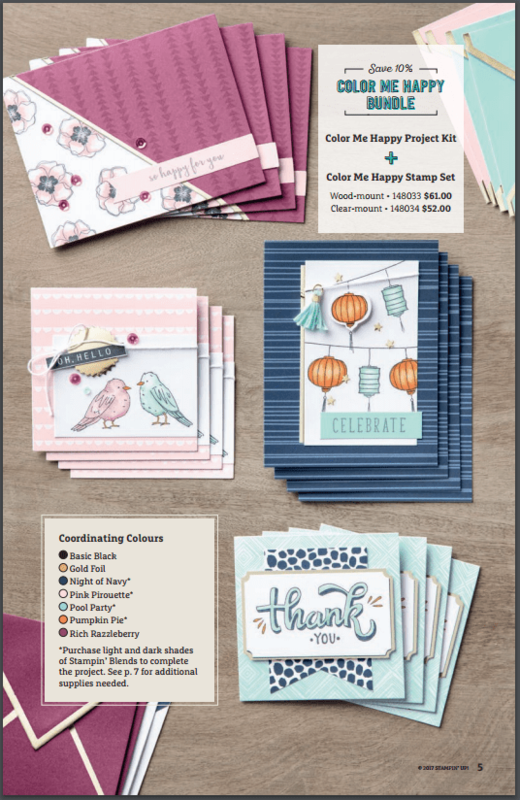 Stampin’ Up!’s new alcohol markers, Stampin’ Blends, are your answer to beautiful, blended colouring on your projects. Plus, they’re in our very own Stampin’ Up! colours, so you’ll always have that perfect coordination. These high quality, dual tipped markers come in 12 exclusive Stampin’ Up! colours, each with a dark and light shade. 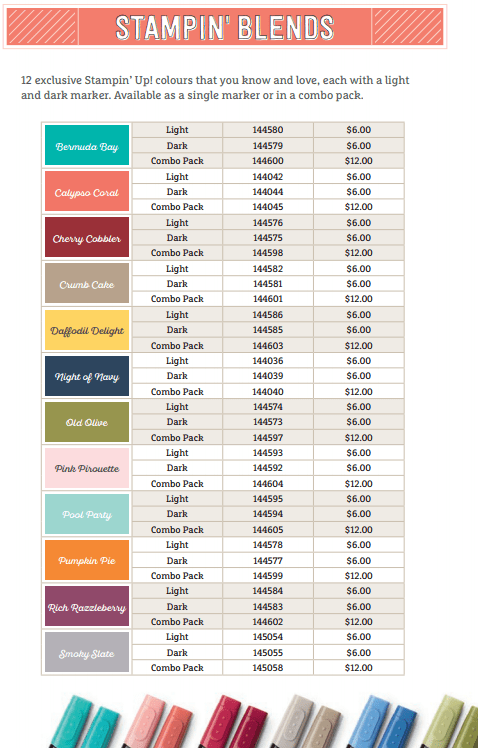 Here is a list of the colours available. You can order the shades individually, or order a 2-pack (light & dark shade of 1 colour). You can also purchase a Colour Lifter, and 2 neutrals (Bronze and Ivory) for colouring skin tones, or anything else! Of course, we make it convenient for you to start colouring right away! 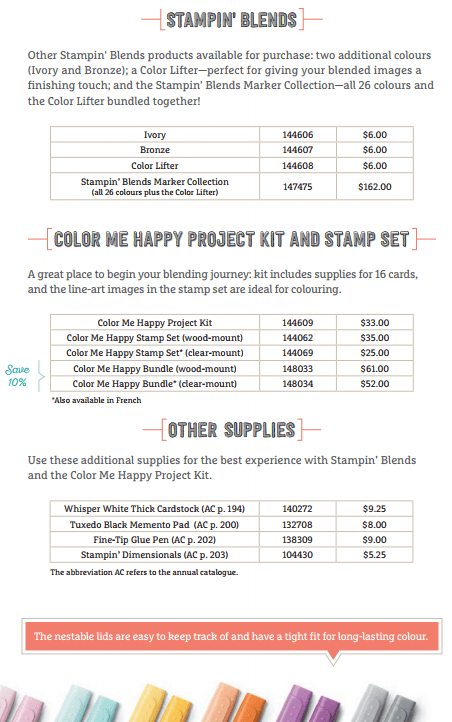 Purchase the Color Me Happy Bundle, and get the Project Kit to make 16 cards, plus the coordinating stamp set! Have a look at the gorgeous cards you can make! This KIT would make an amazing Christmas Gift, or Birthday Gift for that crafty person in your life!! Check out this short video, and see how easy it is to use the new Stampin’ Blends! We all know what can happen with popular new products – they can go on backorder! So ORDER NOW, and avoid any delay or disappointment! Click on the button below to order through my online store.